Yesterday got away from me, so this is Technology Tuesday on Wednesday. I stumbled upon a tweet this week and knew immediately I had to try it. How fun is that? And on Google Drawing! What brilliant mind thought of that? 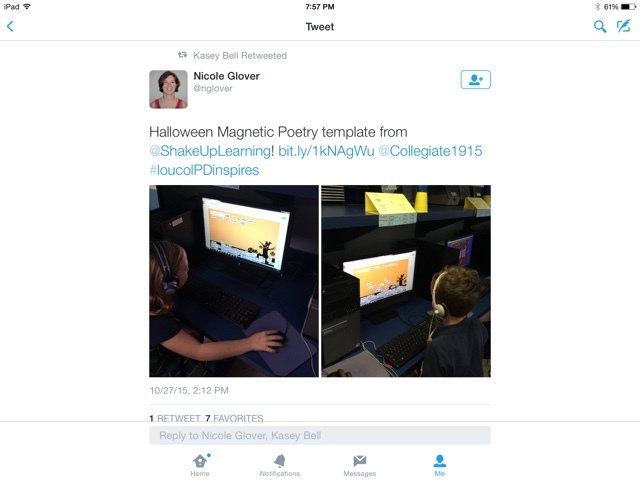 Kasey Bell @ShakeUpLearning is the mastermind behind it. I took a 2nd grade class to the lab and let them go at it! Some decided to just try to make sentences while others wanted to write a story. 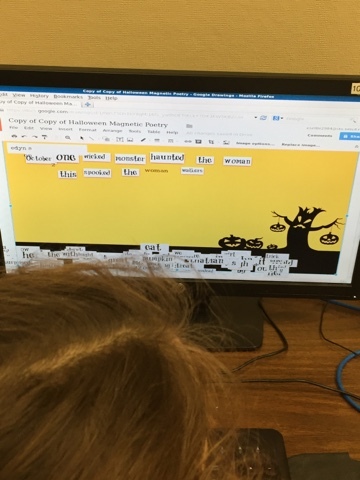 The teacher loved it because they had just been talking about adjectives and so as she walked around, she read out loud any time she saw an adjective. The hardest part was getting them logged into their google drive which they had never done before. 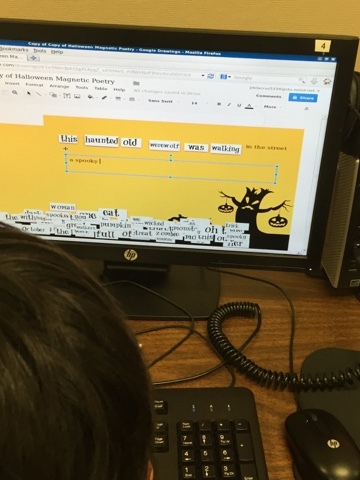 Here is Kasey's original blog post about it http://www.shakeuplearning.com/blog/halloween-magnetic-poetry-with-google-drawings. I am already thinking about a Thanksgiving one.